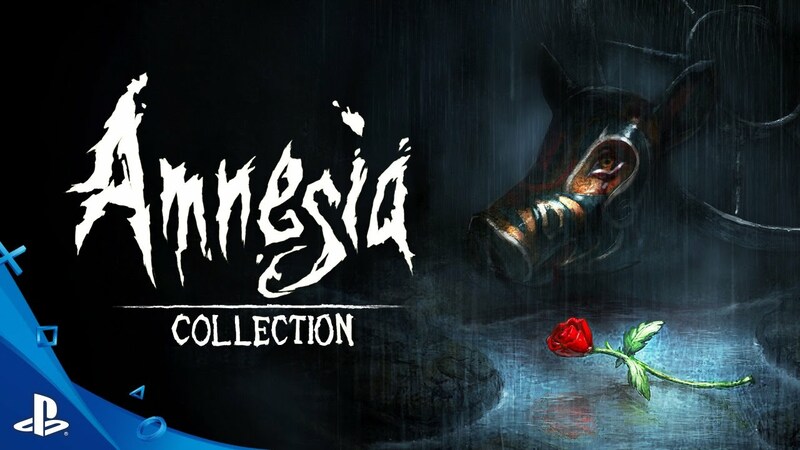 The Amnesia series is one of those games that sends a chill down the spine of gamers. If you’ve ever watched any horror let’s plays on YouTube, you’ve more than likely come across these games before. They are right up there with Five Nights at Freddy’s as the most recognizable horror titles on PC. Now, they’ve come to PS4. This collection includes both the standout hit, and the slightly less loved sequel. All of it can be yours for $29.99. Is it worth the heart attack you’ll probably face? Let’s find out! The stories in Amnesia: The Dark Descent, and the sequel, Machine For Pigs, are very confusing. That’s not to say they’re bad, but this is one of those games that once I got the fortitude to finish it, I had to immediately hit the forums to find out exactly what I just watched. When I say Lovecraft, I’m referring to the type of horror that usually features otherworldly monstrosities and creatures so unspeakable that you’ll literally go insane by just looking at them. In the first game, you play as Daniel, and he does in fact have Amnesia, but it appears he did this to himself on purpose. You begin the game in Brennenburg Castle with no memory of how you got there or why you’ve ended up in such a gloomy place. As you delve deeper into its depths, the story slowly unfolds, as does Daniel’s sanity. To say anything more would be to spoil the twists, turns, and ultimately the insane (pun intended) ending. Suffice to say, you’ll come face-to-face with some of the most grotesque and terrifying monsters seen in gaming. Don’t look at them too long, though, because these looks can kill. Even just watching an enemy from a distance will slowly drain your sanity, and being in the darkness itself represent a double whammy. The screen shifts and tilts, and you’ll even hear the protagonist grinding his teeth as the symptoms worsen. It’s bad enough that you can get killed immediately if they find you, but you cannot even look at them long enough to find out where you should go. Gameplay wise, you’ll encounter puzzles and you’ll constantly be on the lookout for something that you can see, and a few things that you can’t. Audio is both your friend and your worst enemy in this game as you explore the dank tunnels and mysterious gothic architecture. While still a master of horror, tensions, and atmosphere, Amnesia hasn’t aged well. It’s graphics will leave a bit to be desired, but I wouldn’t let that hold you back. You’ll still be terrified, I promise. You’ll also receive Justine, an expansion of sorts that adds another story in the universe. It’s worth your time for sure, but don’t play it until you’ve finished the first game. I rather enjoyed the second Amnesia title, but I can certainly understand why some people would chastise it. For starters, the developer changed from Frictional Games to The Chinese Room. This new developer is known for their story-heavy games like Dear Esther and Everybody’s Gone to the Rapture. This focus on story permeates the sequel, but at a cost of the tension and horror the first game did so well. It just doesn’t quite have the same oomph that the first game had. It doesn’t help that enemies aren’t consistently present like they were in the first title. That being said, the tension is still there, and the story is just as odd and enticing as the first game. It simply doesn’t live up to the standards that the first game set in terms of sheer horror, but as part of the collection it’s certainly worth your time. In the end, this collection is worth your time as a horror fan for sure, and represents some of the finest terror gaming has to offer. Other games have done certain things better, and many have also done it with better graphics, but in the end, this is a piece of gaming history. It also helps that, no matter how old it gets, these games will still scare the living crap out of you. Ready to face the unknown? Be careful, when you stare into the abyss, sometimes the abyss stares back at you.